Moisturizers are so important for curly and wavy hair. Our hair is more dry by nature and using products with moisturizing ingredients will help the overall health of our hair, allowing it to look better, feel better and even grow longer. There are several different ways you can use moisturizing products but once you use them regularly, you will feel your hair is softer and more nourished. I like to use them on wet hair before applying gel stylers or oils and then on dry hair every day to put the moisture back in my hair. Moisturizers come in various forms including conditioners, styling butters or even mists. Everyone's hair favors different moisturizing ingredients. My hair personally loves Aloe Vera, Shea Butter and Coconut Oil. Because my hair is genetically super dry and also color treated, my hair might require more moisture than others with looser and similar curl patterns. It is all about playing and experimenting with different products to find what works best for you. Here are some of my favorite moisturizing products. Editor's note: This article was originally published in 2014 and has been updated due to discontinued products. This deliciously smelling cream (hi chocolate milk!!) works wonders for my hair when it is wet or dry. It makes an excellent overnight pre poo treatment. I like that I can feel it moisturizing but it does not leave my hair feeling greasy. It is rich and thick but somehow does not weigh my hair down. It also doubles as a body butter. Another yummy smelling product. This one smells like vanilla cake. It is lightweight and helps soften and defrizz my hair. 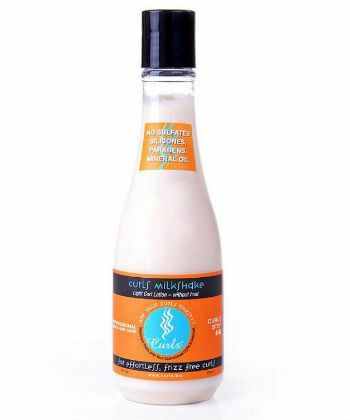 The Milkshake does not build up on my hair no matter how much I use (and sometimes I get pretty heavy handed) This water based moisturizer has a nice balance of ingredients including coconut milk, aloe and amino acids, among others. There is no hold to this so if I use it on wet hair, I absolutely must follow up with some kind of gel. This is technically a conditioner and a great one at that, but I like to use it as a leave in and as a cream on dry hair all the time. It smells fresh and though I can't pinpoint the specific scent, it's pretty addicting. With ingredients such as rice amino acids, oils such as almond and rosehip, shea butter and even tomato fruit extract, my hair soaks this up like crazy! 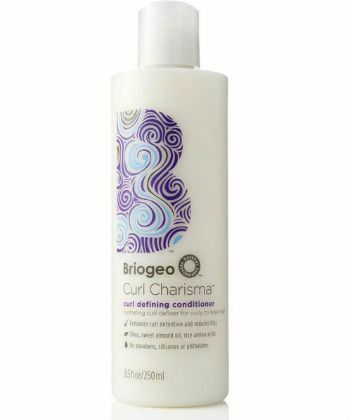 My curls are always defined, extra shiny and frizz free when I use this. 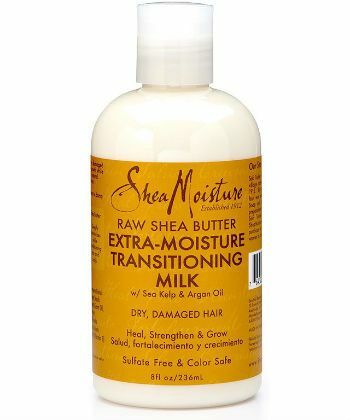 You don't need to be transitioning to reap the benefits of this moisturizing milk! It contains Sea Kelp which helps restore the hair's cuticle as well as Argan Oil to restore shine and help elasticity and Shea Butter to moisturize deeply. My hair likes this one better on dry hair than wet. This deep conditioner smells good enough to eat, and it's packed with nourishing ingredients that help soften the hair and restore curl definition. 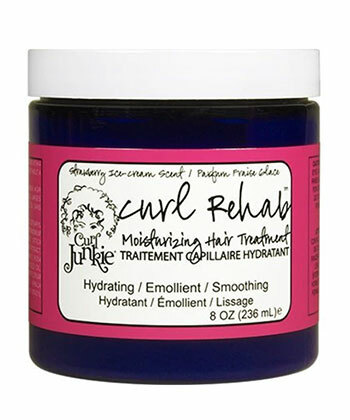 Aloe, herbs, and healing butters and oils will give your thirsty curls the moisture they need. Leave it on for at least 5 minutes for a deep treatment, or use it as a leave-in without rinsing it out. This is SUPER moisturizing. So much so, when you use it your curls may be weighed down for a day but it is completely worth it. 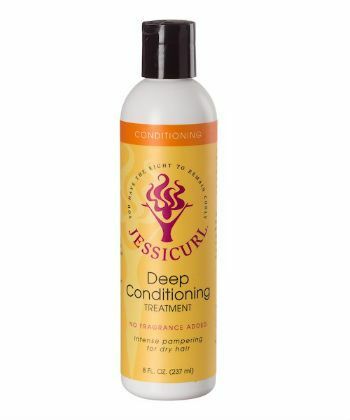 The deep treatment works best with heat and leaves my hair softer than silk! It makes a great leave in also, especially in the winter. It is also perfect in Summer after spending the day in the sun. Or wear it while you are in the sun so the sun penetrates the ingredients into the hair.For the driest of dry curls, you need to try this one. Another product that is lightweight but yet incredibly moisturizing. 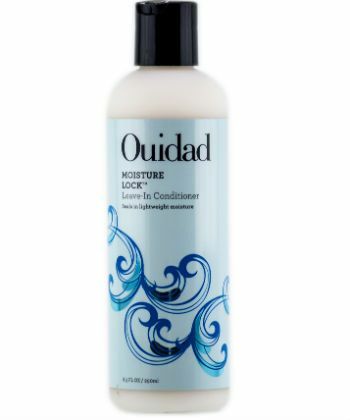 This is another one when I use it, especially on wet hair, my waves just pop beautifully! Results include softness, shine and less frizz. It includes wonderful antioxidants like Vitamin B5, and Green Tea. Works wonders as a deep treatment with or without heat but doubles as a great, moisturizing leave in. It is full of delicious butters including murumuru and cocoa butter. My hair feels soft and detangles very easy with this one. 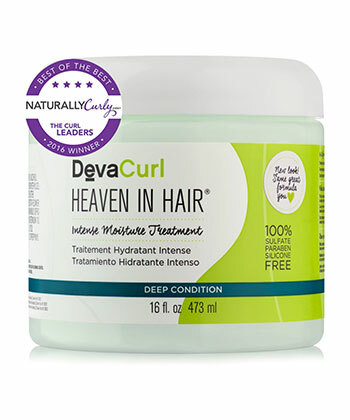 A holy grail product for my hair when it is wet and a must for any curlies with some damage. It helps disguise my split ends temporarily and really helps with frizz and softness. Plus, it also adds additional shine which is great. These come in many scents, my personal favorites are the Pomegranate and Sweet Almond Mist. 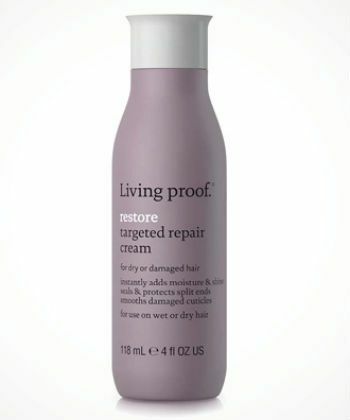 A great refresher spray that adds moisture back to my hair even when it is feeling ulta dry. These include so many extracts that are beneficial, it would take a long while for me to list them all. Some are Aloe, Panthenol and various fruit extract. This mist seriously transforms my hair into silky, shiny less frizzy locks practically instantly. What are some of your favorite moisturizers? Let me know in the comments below! And subscribe to my YouTube channel, Curly Wavy Diane.